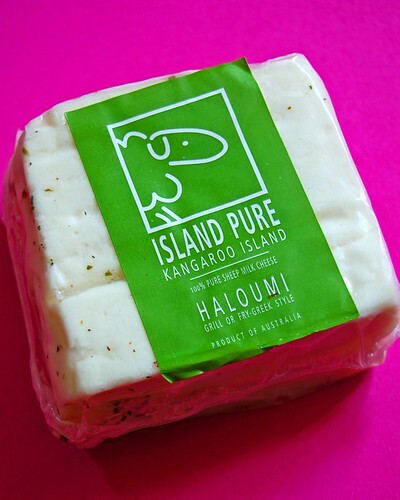 For this next cheese, we take a visit to South Australia and in particular to one it's most well known islands, Kangaroo Island. Here we'll find Island Pure, started in 1992, it was South Australia's first sheep diary. 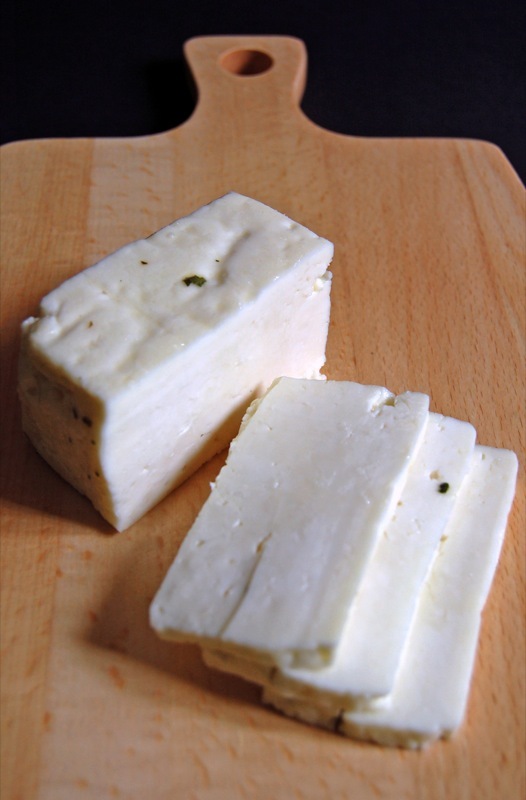 Haloumi is a traditional sheeps' milk cheese of Cyprus. During its manufacture it's actually cooked in its own whey. 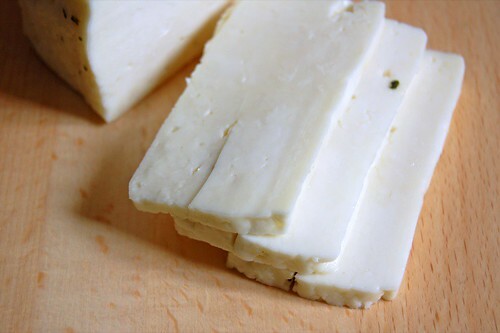 This results in a cheese that won't melt when heated. It's most usually served grilled or fried and when you bite into it, it squeaks against your teeth. There's a bit of liquid in the package to keep the cheese moist so you'll need dry it off on paper towels before using it. The little green specks are just mint fragments. Typically, you'll cut the cheese evenly into ½ to 1cm thick slices and if you were pan frying, dust the cheese lightly with a little flour to help get a wonderful crispy crust. If you were grilling, rub a little olive oil on the slices before placing them on the grill. 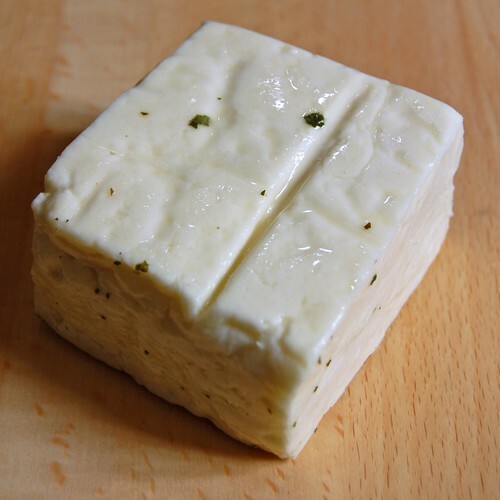 I found it to be mildly salted - haloumi can have a tendency to be a touch on the salty side, I found this to be quite pleasant and good enough to eat as is.